The Predakni®t offers you outstanding protection and comfort you will aprreciate throught the day. 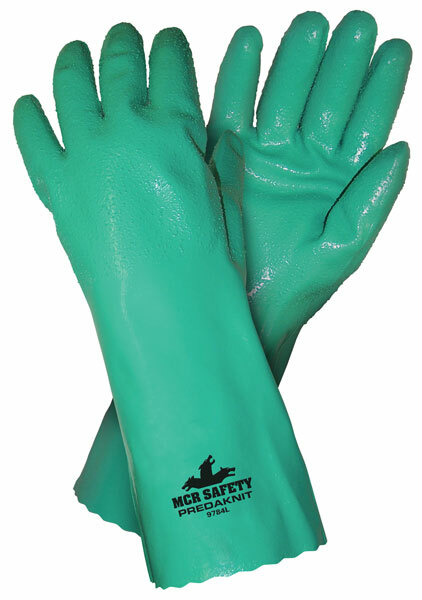 The 9784 features a full premium nitrile coating on a soft interlock liner for comfort. The 14 inch cuff ensures additional protection and the rough texture offers extra grip. Actifresh is added to help reduce odor and bacteria.